BerryDunn, a CPA and consulting firm based in Manchester, reported that the airport had been reporting inaccurate financials for a period of time. A consulting firm asked to evaluate the financial systems of the Martha’s Vineyard Airport has found a litany of issues with the airport’s reporting processes, including a lack of consistent procedures and an absence of staff with financial management experience. BerryDunn, a CPA and consulting firm based in Manchester, was hired by the airport commission for $26,000 in November after the airport’s budget and finance subcommittee found that the airport had been reporting inaccurate financials for a period of time. Its report, dated Jan. 9, was a topic of discussion Wednesday at the meeting of the Martha’s Vineyard Airport Commission. 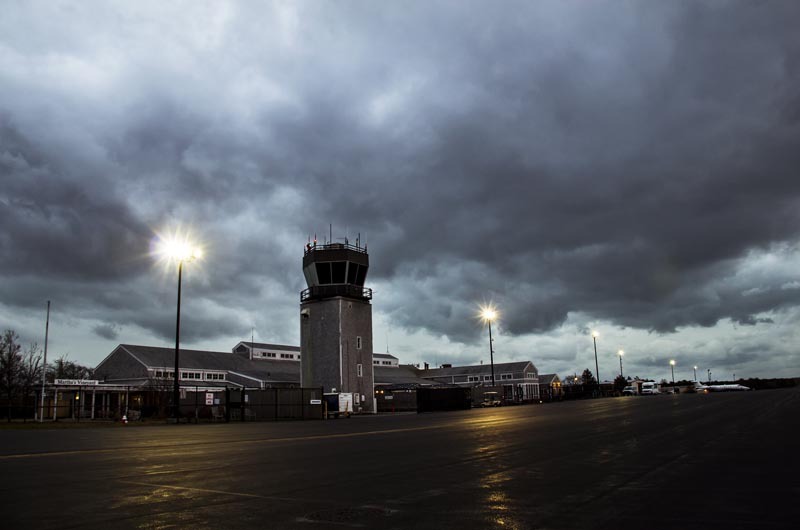 “On many occasions the numbers presented to the budget and finance subcommittee by the airport director and the county treasurer were different by hundreds of thousands of dollars with no explanation to reconcile the differences,” the report states in part. Among other things, the report recommends that the airport hire a comptroller-level accountant to manage the airport’s finances. Financial responsibilities currently fall under the airport’s business manager Joan Shemit, who is not a certified public accountant. “The inescapable conclusion is that we have not had the proper staff here to provide accurate financial information,” said commission chairman Robert Rosenbaum. “When it says that no one here is qualified to do what they’re doing...that’s extremely disturbing,” added commissioner Richard Michelson. The report also notes a lack of a formal monthly financial reporting and documented policies and procedures, and states that numbers provided by the airport’s business manager to the county treasurer are frequently out of date. Staff roles are not clearly defined between the county and the airport, the report added. The commission agreed to accept an offer from Norm Werthwein, a finance subcommittee member and a CPA, to manage the airport’s financials on a volunteer basis while the commission looks into hiring someone permanently. “A full-time person is what we need given the size and complexity of the business we run here,” said Mr. Rosenbaum. In other business, the board approved tacking on $24,000 to their contract with Tetra Tech, the environmental consultant in charge of well testing for chemical contamination, bringing the total contract to date to $145,900. Ron Myrick, director of remediation for Tetra Tech told commissioners that a full report detailing the results of Tetra Tech’s investigation beginning in November into the contamination of private wells south of the airport will be submitted to the state Department of Environmental Protection by Saturday. He said the report will include plans for near-term response actions, a further investigation to support long-term solutions, and future well monitoring. A public forum regarding the action plan has been tentatively scheduled for Jan. 30. A total of 96 wells were tested in the first phase of sampling and 13 wells, or approximately 14 per cent, exceeded safe limits of 70 parts per trillion as outlined in state DEP guidelines, according to Mr. Myrick. Ms. Richart said the money to pay Tetra Tech currently comes from the airport’s operating budget and it is unclear if the airport will be reimbursed by the FAA in the future. “This is running into a lot of money and we need help,” said Mr. Rosenbaum. Commissioners also voted to approve an initial $6,500 contract with O’Neill and Associates, a public relations firm based in Boston, to advise the airport on media relations concerning PFAS contamination. Mr. Rosenbaum said a request by Boston FOX25 News to come to the Vineyard and interview airport leaders about the contamination spurred the need to hire expert help, especially because the airport is one of the first airports to take action on the rapidly developing PFAS issue nationwide. “It will be FOX now, but because you’re on a leading edge on this issue in a place that already gets lots of attention...you stand to get a whole lot of media attention,” said O’Neill senior vice president Andy Paven over Skype. Mr. Rosenbaum said that after a 30-day trial period with O’Neill, the airport will consider proposals for a longer-term contract. In her report, Ms. Richart praised airport TSA employees for still working despite the federal government shutdown and not receiving a paycheck this past week. “Our TSA screeners have been coming to work but they are not getting paid. That’s pathetic,” she said. She added that funding for air traffic control employees is secured by the FAA through February.